When you think of your favorite web apps, you probably think of something with a bright, clean design. The images help you understand key features, and you always know what you’re doing. Whether the app works as a game, an ordering system, or even an appraisal tool, the design helps it serve you better. The best part is, the better the app works, the less you notice the design. When the design fails, however, it reflects badly on the company as a whole. It may even discourage you from buying services from that company again. First and foremost, you must consider how your web design compliments your software. Most websites use linked or incorporated web apps to create a seamless experience for users. If your app has an entirely different designer than your website, however, it’s nearly impossible to keep a perfectly uniform theme. Even if you use the same branded banners and logos, different developers, like different artists, create slightly different work. Customers expect a seamless transition between services. Most customers perceive websites and web apps as the same thing, so if there is a disconnect in the style between your website and various apps, it will confuse potential buyers. Pairing development and design, helps the app itself, too. You want an app with a clean design as well as smooth function. By hiring custom software development services that also provide web design services, you choose the best of both worlds. Companies with web design services know how to unite excellent graphics and design with clever, useful app features. Since customers rely on an app’s layout and imagery to understand it, appearances matter even more than usual when developing new software. Great customer software development also offers web design services, because an unattractive app is like a decrepit storefront. Glitches and errors are inevitable, but advance planning limits their numbers. While browsing software and your customer’s computer upgrades are beyond your control, you can make sure the design of your website or app isn’t interfering with function. Even convoluted screensaver software will crash a computer if the programming proves incompatible. Imagine the frustration of your beautiful, expensive new design crashing the app your clients most often use to place orders. While custom software development is an excellent investment, every business operates on a budget. You must save money where you can. Custom products usually cost more than pre-made services, but customers can expect better results. A tailored suit fits better than one off the rack. Just like the pieces of a suit, however, development and design services may cost less when bought together. Whether you avoid paying upfront consultation fees a second time, or the company offers a package rebate, buying more than one product from a single business almost always costs less than buying services from separate providers. 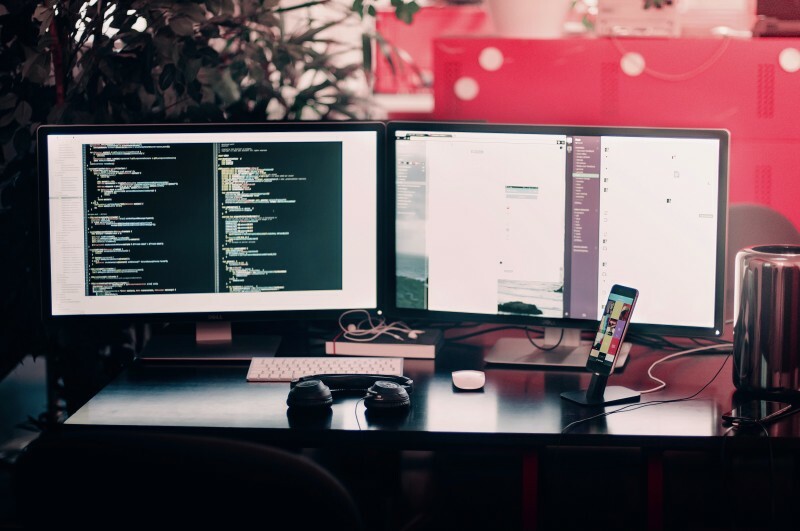 Custom software development and web design services often go together, and you may be surprised how much you can save now and in the future by securing both services from a single developer. Future savings come from future tech support. While custom software may serve longer and better than software off the shelf, one of its greatest benefits comes from developer support. Some developers offer a period of free support. Once that time has expired, however, you still save. No one knows your software better than the people who developed it. Custom software developers can fix issues at greater speed with greater accuracy than generic support from a major provider thanks to that pre-existing knowledge. Any program you link to custom software makes the developer’s job more difficult. Foreign code confuses the root of the problem, and there’s no guarantee your developer has worked with your web designer’s work before. Graphics and design often cause issues, and it’s possible for the developer’s fix to actually scramble part of your design. When you hire custom software development and web design services from the same provider, you ensure your chief problem-solvers don’t lose their advantage. Pairing development and design, provides important benefits from the inception of your project onward. Choosing both software development and web design from the same provider not only saves you money, but creates a superior product. Customers move easily between informational web pages and web app content. The various functions and features of your web presence operate together with fewer glitches, and since your developer understands essentially everything about your app and website, every problem is easier to fix. Hiring web design services isn’t the same as hiring a company to design banners and posters for events. Web design plays an important part in an app’s function. For the best results, trust a developer with proven design experience to create your custom software.